The Kung Fu Rock Chick is a short film that will build a bridge between Hollywood and China. 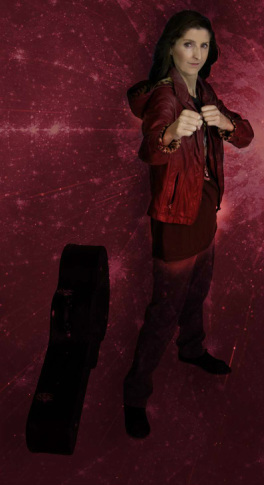 It combines hard driving Hong Kong action with 'axe' kicking American rock 'n' roll. In this story, "Mic" – an American stuntwoman has only one night left in Hong Kong to make her rock-chick dreams come true. She breaks into a secret night club and grabs her chance. But just as rock-stardom is within her grasp - a hitman sent to the same nightclub, steals the show...Big mistake. 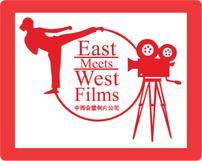 East Meets West Films is the creator of "The Kung Fu Rock Chick". Our hope is that this short film will launch a feature film, TV series and mega musical. Our short film will soon launch a crowd-funding page where you can get cool KFRC posters, T-shirts and axe-kicking guitar accessories. Subscribe to our newsletter to hear the latest news on casting, financing and our film festival campaign. VIP donors to our crowd-funding page will get the inside scoop of life on set at the cross-roads between Hollywood and China with our exclusive feature film production diary. Johnnie To, Teddy Chan, Wilson Yip etc. “Wu Dang”, “True Legend”, etc. Chen Kaige, Tsui Hark, Corey Yuen etc. “Overheard”, “Triangle”, “Protégé”, “Election”, etc. Benny Chan, Derek Yee, Johnnie To, etc. NICK CHEUNG “Unbeatable”, “Election”, “Exiled”, “Breaking News”, etc. "Tai Chi Zero", "Martial Law" (TV series 1998-2000), etc. Action Director“Hero", "House of Flying Daggers”, "The Warlords", "Shaolin Soccer", etc .